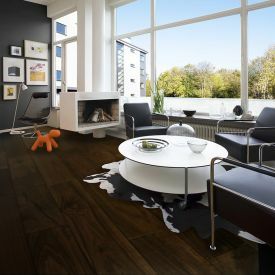 The fusion of light and dark brown tones of this European Oak floor offers a blend of modern and vintage, hence a welcome addition to your contemporary yet traditional décor. 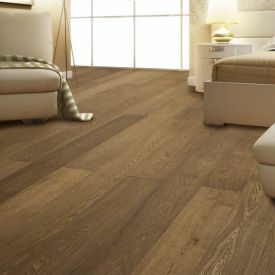 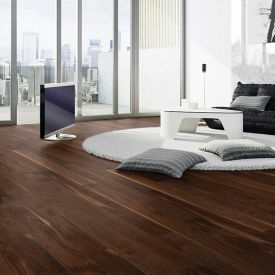 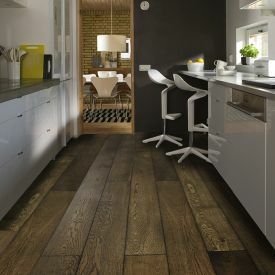 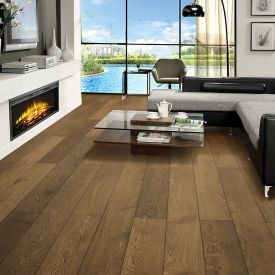 The natural wood grain and oiled surface of this engineered wood floor sets a romantic scene and adds authentic texture and design to any room offering lots of flexibility to decorate your home. 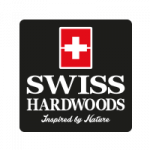 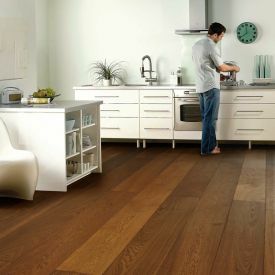 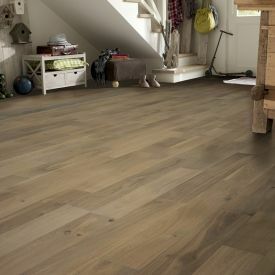 For those looking for a cost effective semi solid wood floor that stands out in your interior and gives you that desirable wood grain effect and none of the disadvantages of a solid wood floor, then look no further...Swiss Hardwoods-Oak-Single Strip Engineered floor is money very well spent.